Your shopping, romantic art, culture and history experience have never gotten this far. Your wine sampling taste buds will, by the end of your stay here, rival those of the best wine connoisseurs. Most people miss out on a great vacation because a lot of great destinations are out of their budget’s reach. Well, today the gods have smiled your way…your luck has turned for the better. You get to know of a destination that is not only within your budget, but also one that would take on the ‘so called’ vacation havens, and make a name for itself comfortably. 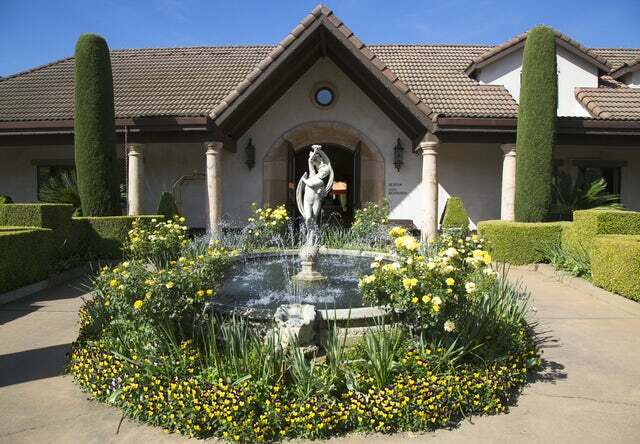 Welcome to the Villagio Inn & Spa, a resort nestled on the lush green rolling hills and vineyards of Yountville. The Villagio Inn & Spa occupies 23 acres of Vintage Estate in a place that the Town & Country Magazine aptly described as ‘pleasure seekers heaven’…a truth that you will only come to know by visiting the destination. With Mediterranean style- gardens and tastefully decorated guestrooms and suites, a guest will find himself wishing that he could live here forever. Every picture you take of yourself here and upload it on whatever social media platform you use will elicit envy from your friends. To complete the holiday experience, the spa features a gigantic 13,000 square foot spa that features 16 treatment rooms, 5 intimate and private spa suites, oversized tubs, fireplaces, Bose Sound systems, steam showers, flat screen televisions etc. Simply put, the spa is the selling point of Villagio Inn. It is the main reason guests will leave coastal resorts and spend their holidays in the Epicurean town of Yountville. Whether you are a business or pleasure traveller, the Villagio Inn& Spa will have something that will make your heart merry. Are you planning a wedding and you are at your wits end? Do not worry. You have just found the venue, the caterers, the decorators, the planners and photographers that will make your dream wedding happen. You have the option of having your wedding on a grand outdoor pavilion, a yesteryear setting in the Barrel Room or the Groezinger Estate House. Amazingly, there is an in-house catering team for the actual ceremony, the rehearsals, and other events of up to 400 people. Isn't it cool to spend your holiday off the beaten path for once? Why not try the country as a vacation destination and compare it with the city...Trust me; you will love the country better. It is less crowded, it is more romantic, and the nature is the perfect backdrop for relaxation and unwinding. Surprised that the country can be this cool? I was too. To experience this great destination, just contact us today and we will get you packing.